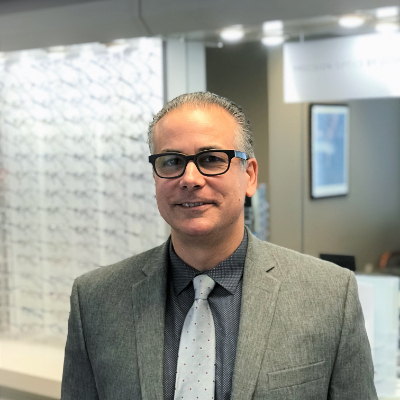 Guy is a Licensed CT Optician, certified by the American Board of Opticianry and National Contact Lens Examiners since 1992. He received extensive training from Optical and Contact Lens Specialists at the Middlesex Community College Ophthalmic Program. He remains a current ambassador member with the CT Opticians Association. Recently, he spent five years in the luxury eyewear market under the guidance of New York City based eyewear designer Jeff Press. Guy has extensive training in contact lens materials and physiology as well as an in-depth knowledge of complex eyeglass prescriptions. Guy practices in our Southbury office.